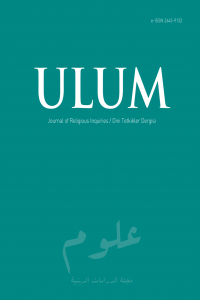 ULUM Journal of Religious Inquiries is a peer-reviewed Journal published twice a year as July and December. ULUM aims to contribute religious, theological, and social studies by publishing original academic works meeting international scientific criteria. In addition to research papers, the journal publishes translated articles. "Re-publication of a paper in another language is acceptable, provided that there is full and prominent disclosure of its original source at the time of submission" (See: COPE Guidelines On Good Publication Practice). All articles sent to ULUM are subject to the double-blind peer-review process. Also, all the articles are checked by a plagiarism software (iThenticate) to preclude any academic dishonesty. ULUM accepts paper submission from researchers with only doctoral degrees in research articles and book review. It requires writers to use the ISNAD Citation Style.